Did you know our milestone exhibition Ho‘oulu Hawai‘i: The King Kalākaua Era wouldn’t have been possible without the support from fellow Hawai‘i cultural institutions, like the Bishop Museum? 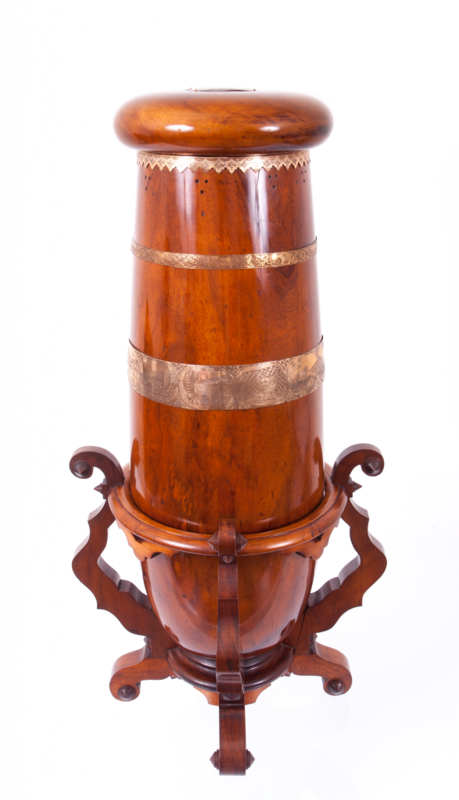 The exhibition brings together 69 treasures from Bishop Museum’s Ethnology and Library & Archives collections alongside works—some of which have never before been displayed—from HoMA, ‘Iolani Palace, Hawai‘i State Archives, and Hawaiian Mission Houses Historic Site and Archives. Curator Healoha Johnston discussing the period telephones with Mayor Kirk Caldwell and other guests. 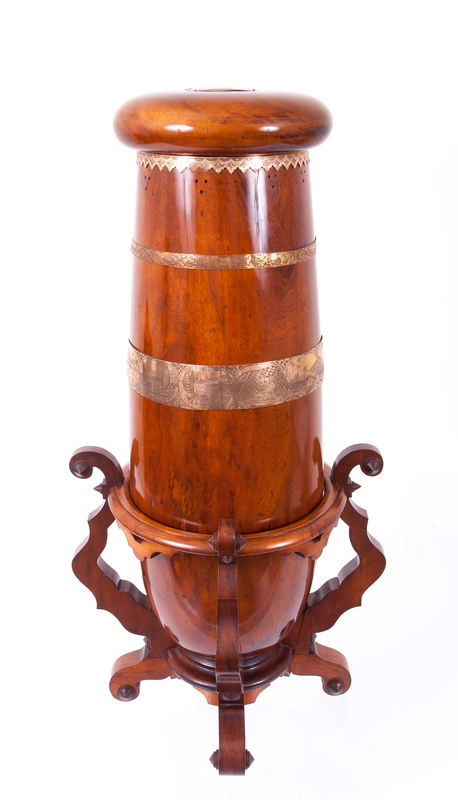 Some of the Bishop Museum collection highlights include the ipu makani (wind gourd) La‘amaomao, the huge riding cloak of Queen Kapi‘olani, period telephones marked with Kalākaua’s monogram, the program of hula performed at King Kalākaua’s coronation celebration, and a 1906 issue of the Hawaiian language newspaper Ka Nupepa Kuokoa. Additionally, the exhibition catalog (on sale in our Museum Shop for $39.95) features contributions from Bishop Museum staff, such as Leah Pualaha’ole Caldeira, Collections Manager, Library & Archives, and Dr. Alice Christophe, Ethnology Collections Manager. 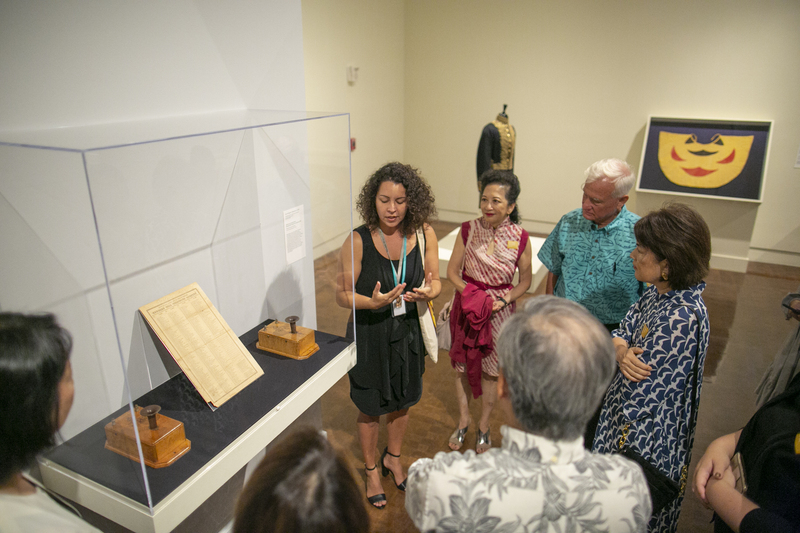 In partnership with HoMA, Bishop Museum is proud to present the special guided tour Ka‘apuni: Hawai‘i in the Reign of Kalākaua, which occurs every Tuesday, Thursday and Saturday at 2pm in Hawaiian Hall from now until Jan. 24. 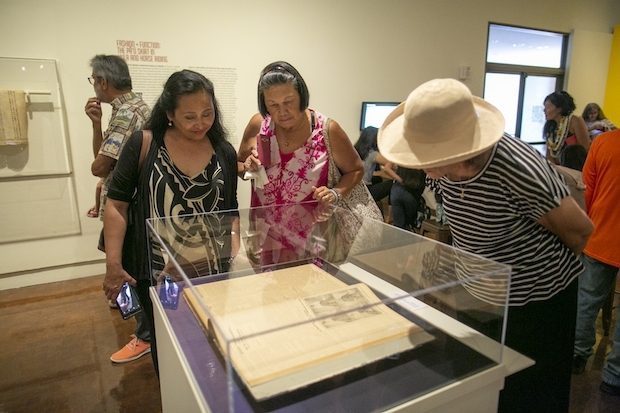 On this guided gallery tour, visitors can learn about the life of King David Kalākaua and the Kingdom of Hawai‘i. This tour is free with general admission. Visitors can register online for it and receive $3.00 off Bishop Museum general admission with the code: HoouluHoMA. Offer valid until Jan. 27, 2019.